The berberis, commonly known as burberry, is a thorny shrub originally from North Africa. It is known for its odorous yellow blossoms that ripen into oblong red berries over the year. 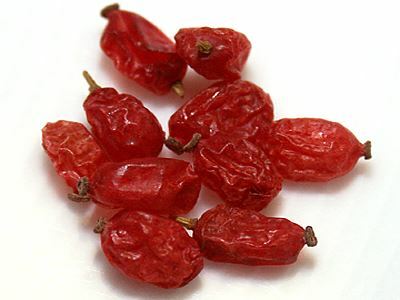 The burberry fruit taste somewhat sour due to malic acid and other fruit acids and contain many vitamins, especially vitamin C. While for example people in Iran use berberis to season their meals, here we mainly known of burberry jams and dried berberis. The latter are really tasty eaten pure and are perfect as a fruity and healthy muesli supplement.